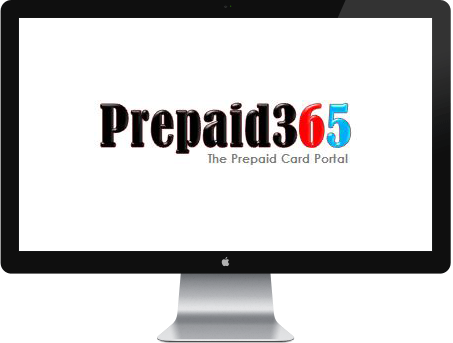 As the largest consumer prepaid card awards of its kind, the Prepaid365 Awards offer unrivalled branding and sponsorship opportunities, including months of profile through advertising and online coverage through the Prepaid365 and Prepaid365 Awards website and social media channels. 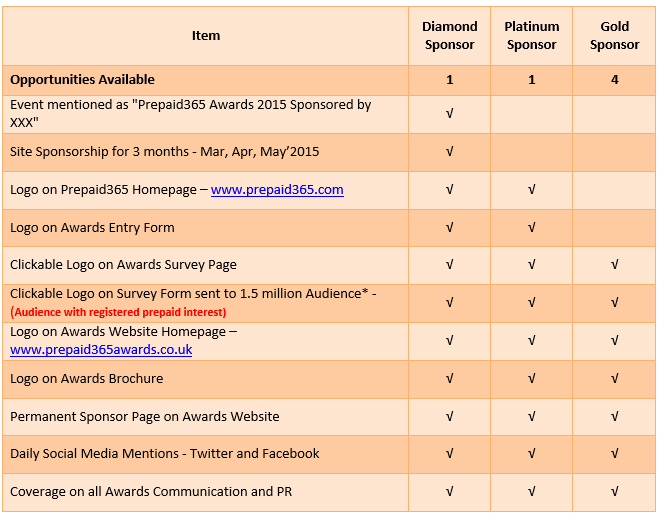 Various different sponsorship opportunities are available at the Prepaid365 Awards. These include sponsorship of the main awards as well as social media sponsorship of competitions and giveaway run via social media channels in conjunction with the main awards. 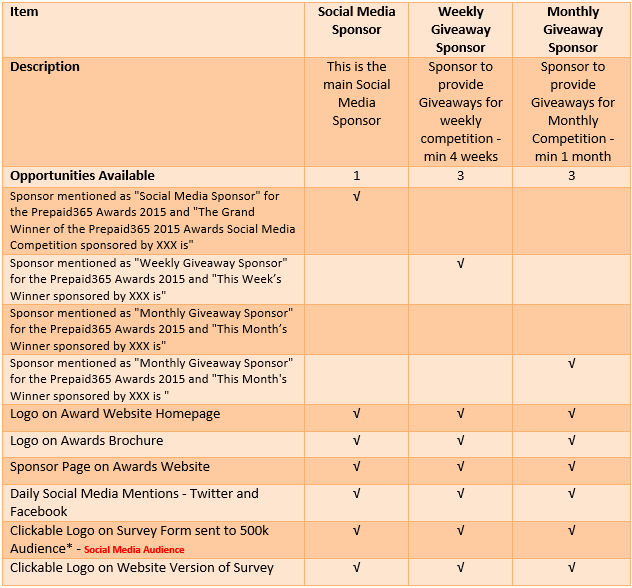 Some of the benefits availed through sponsorship of the Prepaid365 Awards are listed below.